Two years ago, I wrote that Washington’s parasite class was having a very merry Christmas. But I wasn’t mocking welfare recipients, many of whom actually deserve sympathy for getting trapped in the web of government dependency. Instead, I was referring to the unearned wealth being accumulated by Washington’s gilded class of bureaucrats, cronyists, lobbyists, contractors, politicians, and other insiders. To cite a truly horrifying statistic, the redistribution of money from America to Washington has made it the nation’s richest metropolitan region. Let’s look at what Tim Carney just wrote in the Washington Examiner about Christmas on K Street. It’s that magical season when Republicans and Democrats come together to look after the needs of corporate America, K Street lobbyists, and the U.S. Chamber of Commerce. …The highway measure is a huge win for industry while a loss for good governance. Far worse, however, is the…provision reviving the defunct Export-Import Bank, a corporate-welfare agency…K Street lobbied incessantly to revive Ex-Im, backed by President Obama, Hillary Clinton and nearly every Democratic lawmaker. …As a corporate cherry on top, the bill repeals a recent minor cut in federal crop insurance subsidies, a program that benefits financial firms… Congressional leaders are currently negotiating another year-end legislative package, the notorious annual tax extenders bill. …the bill will extend (at least for a short-time) green-energy subsidies: The Production Tax Credit for wind and the Investment Tax Credit for solar. …Almost all of them are crucial for some special interest and the revolving-door lobbyists they employ. Tim points out that the feeding frenzy is bipartisan, which some people think is a measure of good policy. Like me, though, Tim isn’t impressed when the Evil Party and the Stupid Party both conspire to produce bad policy. As this legislation — the highway bill, the energy bill, the tax extenders, plus the omnibus spending bill—pass through both houses, expect hosannas to the “bipartisanship” and “compromise” involved. …there’s one common theme here: Corporate lobbyists win in almost every case. But catering to the interests of K Street lobbyists is probably not a good strategy for Republicans. Republican leaders are probably confused about why all their accomplishments and imminent accomplishments, including the highway bill, tax extenders and appropriations, haven’t dragged Congress’s approval out of the gutter—after all, everyone they talk to thinks Congress is doing a bang-up job. Now let’s look at what Kevin Williamson recently wrote for National Review. His article is primarily about corruption in Chicago, but his observations apply just as well to how Washington operates. Bill and Hillary Clinton, Barack Obama, Rahm Emanuel, Al Gore, and the rest of that sorry lot aren’t trying to get rich — they’re already rich, some of them wildly rich. They are building a patronage society. And building a patronage society costs a lot of money… The horrifying fact is that Barack Obama can make you a rich man — if you’re the right kind of man. If you operate a politically connected business, the government can direct the better part of $1 billion straight into your coffers… At the other end of the spectrum, a federal tormenter can be the end of your enterprise: Ask those Tea Party groups illegally targeted by Barack Obama’s IRS. Ask a voting-reform advocate who was targeted by the ATF in spite of not being in any business related to A, T, or F.
But it’s not just a case of undeserved goodies getting steered to political cronies. Yes, that’s a problem, but the economic concern is that this type of economic model misallocates resources and leads to stagnation. The Clintons’ game isn’t enjoying the $100 million in their checking account — it’s making use of the $44 trillion in American-owned assets as if they owned them themselves. Barack Obama doesn’t want a garage full of Rolls Royces — he wants a world in which Rolls Royce has to ask his permission before building a car or selling one. In effect, a nation slowly but surely becomes Greece as more and more people either rely on benefits or have jobs in the bloated bureaucracies that dispense goodies. …you cannot build a patronage society on patrons alone: You need clients. And that’s where the ever-growing public sector comes in. …There is effectively no one working at your local DMV, public school, police station, or IRS office who could earn even 80 percent of his government compensation in a private-sector job. …the really nefarious dependency agenda isn’t focused on the people who cash welfare checks, but on the people who write them, the vast bureaucracies of overpaid functionaries… Get enough of those and you have effective control over the entire economy — Chávez-style socialism without the nasty business of formal expropriation. By the way, it’s not just libertarian types who worry about bloated government and cronyism. Here’s an excerpt from a recent column by Robert Samuelson that succinctly captures an inherent problem with government. Writing about the reasons for diminishing productivity growth, he cites the work of Mancur Olson. Olson revolutionized thinking about the political power of interest groups. …conventional wisdom held that large groups were more powerful than small groups in pursuing their self-interest — say, a government subsidy, tax preference or a protective tariff. …Just the opposite, Olson said in his 1965 book “The Logic of Collective Action.” With so many people in the large group, the benefits of collective action were often spread so thinly that no individual had much of an incentive to become politically active. The tendency was to “let George do it,” but George had no incentive either. By contrast, the members of smaller groups often could see the benefits of their collective action directly. They were motivated to organize and to pursue their self-interest aggressively. Samuelson continues, elaborating on Olson’s insight about concentrated benefits and dispersed costs. Here’s an example: A company and its workers lobby for import protection, which saves jobs and raises prices and profits. But consumers — who pay the higher prices — don’t create a counter-lobby, because it’s too much trouble and the higher prices are diluted among many individual consumers. Gains are concentrated, losses dispersed. This was Olson’s great insight, and it had broad implications, he said. In a 1982 book, “The Rise and Decline of Nations,” he argued that the proliferation of special-interest concessions could reduce a society’s economic growth. “An increase in the payoffs from lobbying . . . as compared with the payoffs from production, means more resources are devoted to politics and cartel activity and fewer resources are devoted to production,” he wrote. The last part of the excerpt is crucial. When we get to the point when businesses are focused on harvesting favors from Washington (such as bailouts, export subsidies, special tax preferences, etc), that is a very depressing indication of a cronyist economy rather than a capitalist economy. Of being Argentina rather than Hong Kong. If you’re not already sufficiently depressed, my colleague Chris Edwards has a very good description of the lawmaking process. You should read the whole thing, but here are a few excerpts as a teaser. In a romantic view of democracy, legislators act with the interests of the general public in mind. They grapple with policy issues, work toward a broad consensus, and pass legislation that has strong support. To ensure that funds are spent wisely, they frequently reevaluate existing programs and prune the low-value and harmful ones. They put citizens first and carefully limit their actions to those allowable under the U.S. Constitution. The problem with this “public interest theory of government” is that it has little real-world explanatory power. …we can better understand congressional actions by looking at incentives. And when you look at how the process really works, you learn it is dominated by “rent seeking,” which is academic jargon for interest groups obtaining undeserved benefits via government coercion. If you’ve read this far, you probably want to go take a shower and wash away the stench of Washington corruption. But there’s one tiny glimmer of hope. If we can somehow figure out how to shrink the size and scope of government, we can reduce the problem. That’s the message of this video. While we know the solution, our real challenge is that we can only shrink government by convincing politicians to change policy. Yet asking politicians to reduce government is like asking burglars to be in favor of armed homeowners. And based on everything I wrote above, we know politicians generally have bad incentives. But it’s not hopeless. While I certainly enjoy mocking politicians, they’re not totally immoral or even amoral people. Many of them do understand there’s a problem. Indeed, I would argue that recent votes for entitlement reform are an example of genuine patriotism – i.e., doing the right thing for the country. So is there a potential solution? Maybe. Let’s use an analogy from Greek mythology. Many politicians generally can’t resist the siren song of a go-along-to-get-along approach. But like Ulysses facing temptation from sirens, they recognize that this is a recipe for a bad outcome. So they realize that some sort of self-imposed constraint is desirable. And that’s why I’m somewhat hopeful that we can get them to impose binding spending caps. We know there are successful reforms by looking at the evidence. And we know there is growing support from fiscal experts. And we even see that normally left-leaning international bureaucracies such as the OECD and IMF acknowledge that spending caps are the only effective fiscal rule. 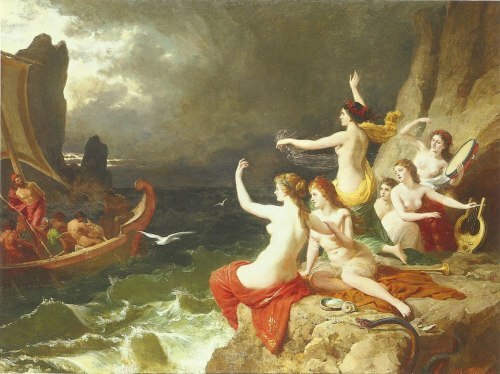 So if Ulysses can bind himself to the mast and resist the sirens, perhaps we can convince politicians to tie their own hands with a Swiss-style spending cap.